Mr. Shaji Varghese is the Patent Specialist of KADASA Intellectual Property. Shaji started his professional career with Kadasa IP and is one of most experienced team member in Patents and Designs prosecution team of Kadasa IP.With his long career with Kadasa IP in Saudi Arabia spanning over two decades, he has acquired in-depth knowledge in Patents and Industrial Design prosecution matters. 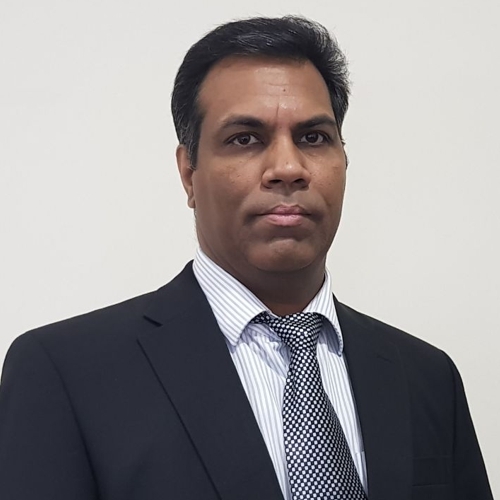 Shaji has extensive knowledge in development of Patents and Industrial regime in Saudi Arabia over the last twenty years, and is capable of handling prosecution matters as per practice.